More tall trees and green pastures, with Rio Grande River running through it. Mature landscaping, a rural atmosphere and horses are allowed in many areas. Home Prices range from bungalows to top-end customs. 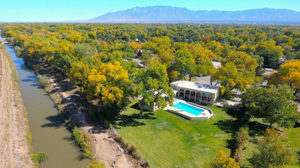 Let Jo Cook be your guide through all of the available real estate in the North Valley area of Albuquerque, New Mexico.